Xie Xiaodong 謝小冬 (often miswritten as 謝小東), a professor of Lanzhou University Life Sciences Department, released a news article in August 2005 regarding the possibility of descendents of Roman Legions living in the area. This caused a flurry of public reaction and further pressed the then-building notion of emphasizing the non-existance of a Han majority, eventually inferred and rewritten by netizens and Chinese newspaper reporters alike to prove that “racially pure Han Chinese” do not exist. This caused outrage among the majority of (Han) Chinese netizens in not only China, but also around the world – in particular Taiwan and Malaysia – and decried it as foul play by subversion by “remnants of Manchu Qing” forces. Chongqing Evening Paper Weekly Magazine 《重庆晚报》博闻周刊, on page 20 of its February 7, 2010 publication, the article “Pure Han Chinese no longer exist: Formerly lived in the Central Plains region “中国纯种汉族人如今无存 曾生活在中原地区”” is but a pirated version of Li Ningyuan’s article from the Shanghai Evening two years ago, and is but merely a collection of leftover rice. I have already been in residence in Cambridge [University] for over a year, and no journalist has interviewed me from inside China during this time. Neither have I announced any so-called “research results”. may I ask from where did this information come from? Where did the photo come from? May I ask the reporter and his department – where is your journalistic morality? Where is your social responsibility? After seeing the commentary online, it is evident that rumors are abound and unstoppable. For the sake of the truth and debunking perceptions, I can responsibly tell everyone that this is fake news! Even my personal information is wrong, so you can see the degree of its falseness! Back then Li Ningyuan interviewed me in Lanzhou for the research project on Liqian people, and it was made clear that the project was still under research, and while under the state of having no official consions yet, he published that day the article Gansu “Roman Legion” are mercenaries from Afghanistan – DNA tests are completed, confirmed as mixed blood from Central and Western Asia 《甘肃“罗马军团”是阿富汗雇佣兵—DNA正式鉴定完毕 确定为中亚与西亚地区混合血统》. How dare he used another person’s name to disclose that the project is completed, with produce news of such controversy, and furthermore was reposted on major web portals! I was asked by a reporter in Lanzhou working for Xinhua for clarification – but I never thought that during then, Li Ningyuan’s other even more attractive article was unveiled – “Decoding the Migration of the Chinese Race: DNA tests show pure Han Chinese no longer exist [中国人种迁徙解密 DNA检测纯种汉族人已不存在]”! Chongqing Evening News‘s variety weekly publication “Pure Han Chinese no longer exist: Formerly lived in the Central Plains region “中国纯种汉族人如今无存 曾生活在中原地区”” in fact originates from here. In actuality, our laboratory has only studied group genetics on ethnic minorities in Northwestern China, and our research scope never once had such a topic [of Han genetics], nor do we have results or data from this so-called research, and I personally have never released any sensationalized results such as DNA tests proving that pure Han Chinese no longer exist! Isn’t this a wide-eyed news fabrication, and a malevolent hype-up? Therefore, the truth is: The masses are fooled, the experts are framed, and the journalists are giggling with glee from behind! After the incident [in 2007], I have contacted in that afternoon assistant manager Zhao Yi 赵毅, requesting that they retract the article immediately, and provide a public explanation to the public and myself of the debacle. That newspaper company immediately agreed to retract its articles on its own website and Sina.com, but refused to make a public explanation. Later on, Li Ningyuan has made a verbal apology to me via telephone. With a forgiving attitude, I thought that the case would be closed, but never have I thought that two years later, Chongqing Evening News would re-fry the news. The reasons behind it is beyond my comprehension. The reporter has not abided by the basic principles of journalism or their code of ethics in reporting, and the news agency has not strictly guarded their standard, causing a serious distortion of truth, dealing to the victims great damage to personal and academic credit. It has misguided the public, interferes with daily research work, and damaged the image of the media. Furthermore, it has influenced the stability and harmony of the country, and the greater solidarity of the Chinese Ethnicity. I hope that our journalists from now on can follow the basic rules of conduct and code of ethics in their work, taking responsibility as journalists in creating a trustworthy and harmonious society. Those units and individuals who solely rely on fake news to attract public eyeballs and attention, in the end, will end up like the counterfeiters of all kinds, and get their judgement served by the justice of society! 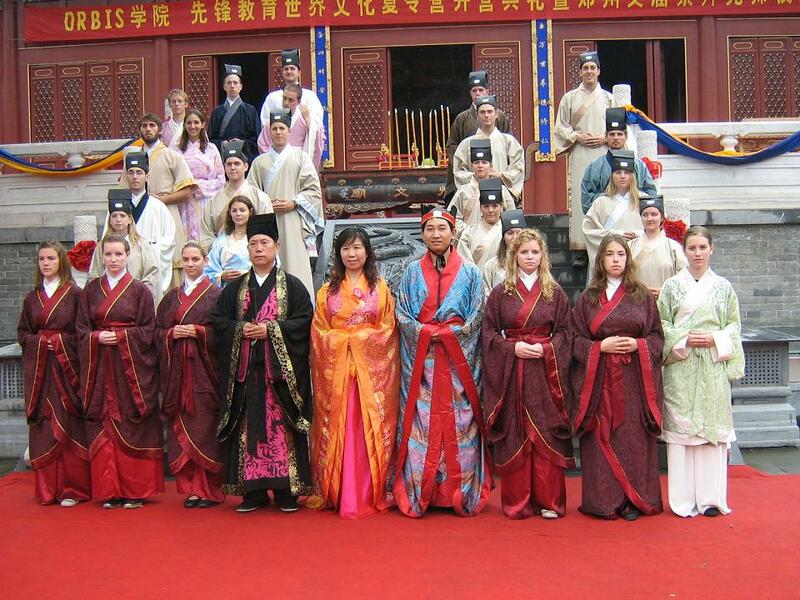 Participants of the Orbis Institute and Song Yuren, at the Zhengzhou Confucian Temple, June 2007. Song Qingsheng (宋慶勝), or more popularly known by his courtesy address Yuren (豫人), is a prominent speaker of Hanist thought in the Huaxia Restoration Movement. He is self-titled as “Researcher for the purpose of Saving Huaxia culture (华夏文明研救者)”, and a transmitter of the Standards Vessel sect of the Yi School (School of Changes) thought (易家制器派傳人). After his retirement from his post as a CCP local official, he has been actively studying, writing, and lecturing about the possibilities and necessity of a revival of Han Chinese tradition as a cultural backbone to restoring prominence and survival of the Han Chinese race. For the past two years, Song has travelled across China and Malaysia to give lectures in his discourse, as well as in ritual and etiquette of the Han Chinese tradition. In the details of this post is an example of his lectures, usually an hour long, on recategorizing discourse found in China into three major systems divided not by political spectrum, but as cultural groups. He notes as his conclusion that for the past two centuries, China has been continually experimenting with foreign systems of thought with varying degrees of success, but to ensure survival of the race, one must rely on indigenous virtues and discourse to ensure existance of the Chinese legacy in the future. In this translation, I will attempt to maintain the grammatical structure of the original Chinese language (including the many redundancies found in public speech patterns), so that the reader can follow through with the original lecture without too much difficulty. 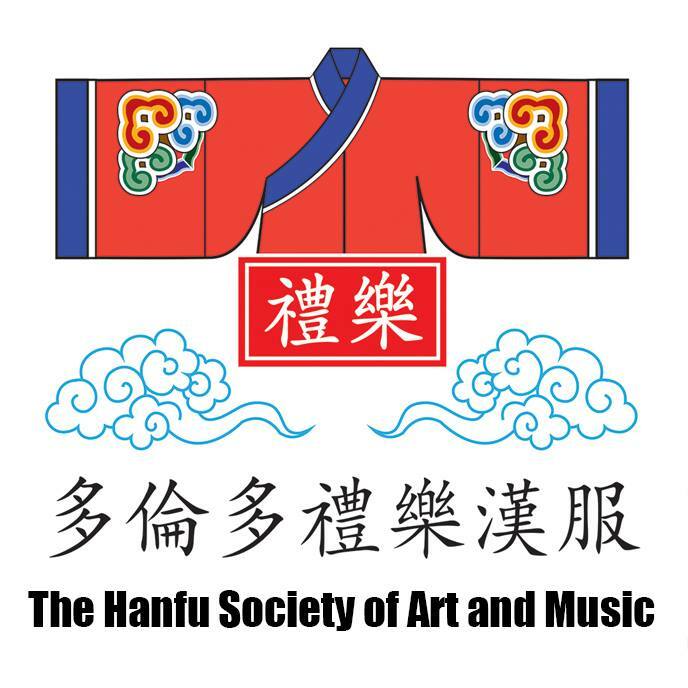 Welcome everyone to the Han School Forum! Because I had to go to Beijing last week, I wasn’t here. This week we’ll continue: Today our topic of discussion is Han, Tartar, West – three systems of culture. Because this is a cultural arts forum, not a martial arts forum, that’s why someone cam here asking, why don’t I ever see you practicing martial arts? That’s because we’re all cultural people, and there are plenty of other places to practice martial arts, plenty of wushu schools around. We’re here to play around with culture, so we’ll talk culture. When some people talk about culture nowadays, there’s a huge area of misconception, especially when it comes to the culture in our Chinese territory. This misconception is too huge, so today we’ll only take on this topic with a basic investigation. Original by kingsreturn. TRANSLATION COMPLETE, Chinese version from http://www.tianya.cn/publicforum/content/free/1/1447939.shtml. The rise of Hanism (Han ethnic-based nationalism) is an issue to the PRC government, and a challenge to its policies. Photo from the dinner party after the Shanghai Yokoso! Japan fair in Shanghai, where Hanfu promoters are anguished from being censored and stopped. When a story just begins, we probably do not notice its existance, until we reminece it afterwards, everything that has past then becomes all the more moving and amazing. Hidden outside from people’s line of sight, the hidden tides are creating a new kind of ideology, and what we think we see are but crawling vines, but actually these vines are only but an accessory or periphery of some kind of gargantuan leviathan. Pride is in gestation, repeating in occasion. The living historical fate is still tying down this country, and some viewpoints that used to not pose a problem, began to spread among the Internet and reality. In this country of confused thought, certain events in history that are set in stone faces ‘innovative’ redefinition, with different political agendas and ethnic requests, and this trend is already established. Suppression or ignorance could not stop this kind of separation and change. Although its budding origins were noticed since the beginning, all we had done was wait and see with a mindset for enjoying another’s misfortune, or pass by in total apathy. This essay is based on iconic events in the cultural scene of china in the past decade, linking the ethnic policies in PRC since the Opening Reforms, with particular focus to the audience the rise and spread of Hanzu-zhuyi (trans. Hanism, Han departmentalism), as well the social realities and strenuous conflicts among various free media, and a prediction for inter-ethnic relationships in China in the future, suggesting possibilities for the event of ethnic division and creating methods for its prevention.